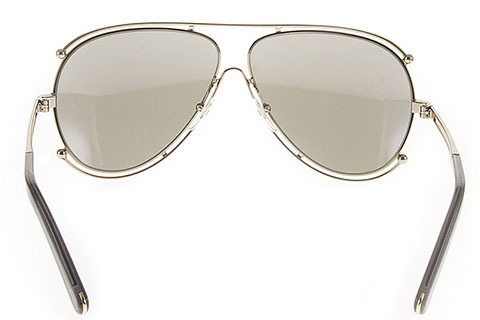 Order in next 7hrs 22mins for next working day delivery. 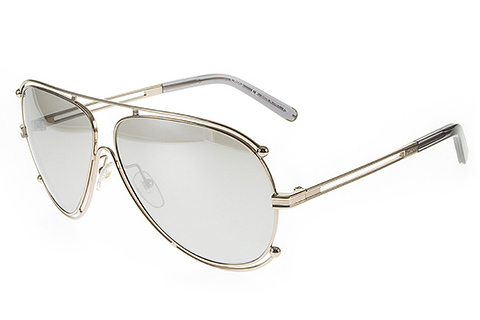 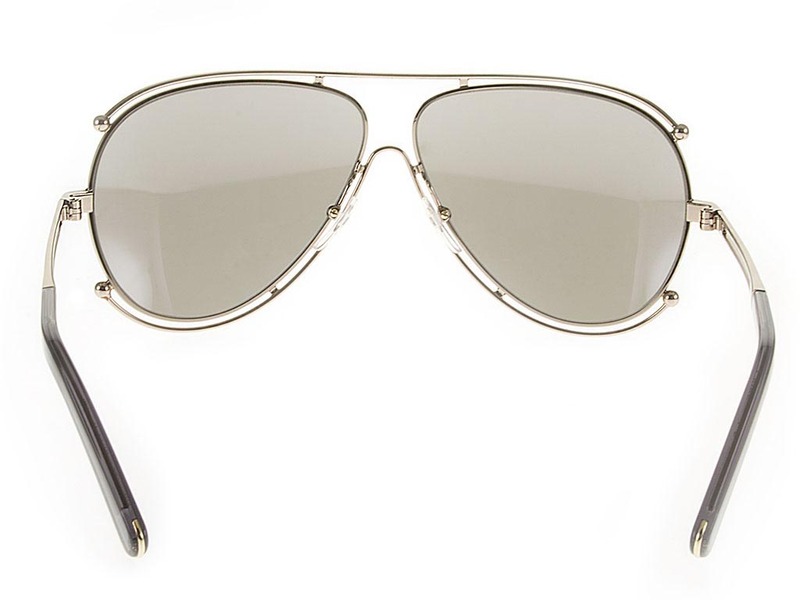 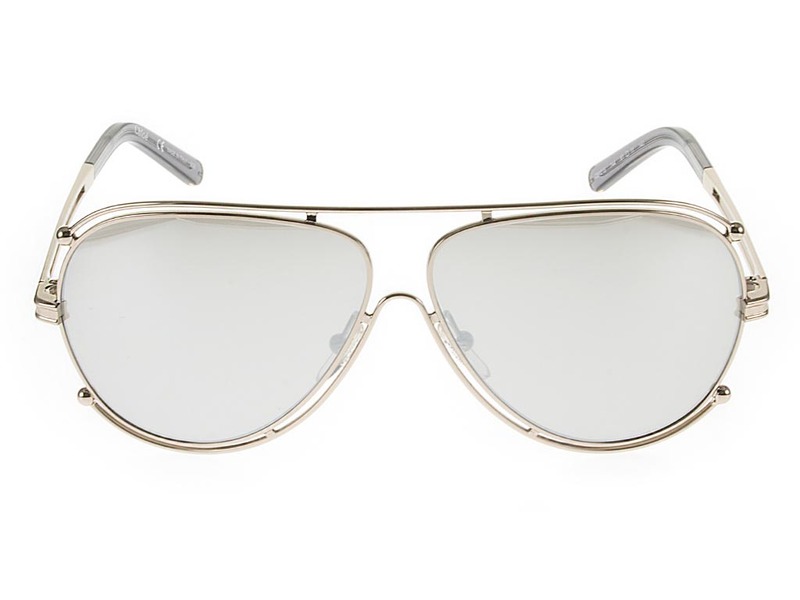 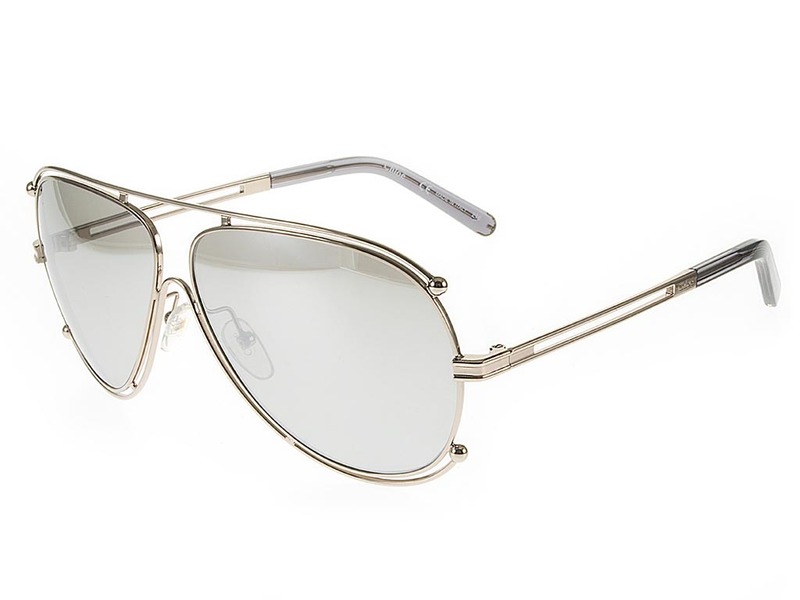 Grey mirror lenses are enclosed within unique double rims on these Chloe CE121S sunglasses, which are a playful take on the classic aviator silhouette. 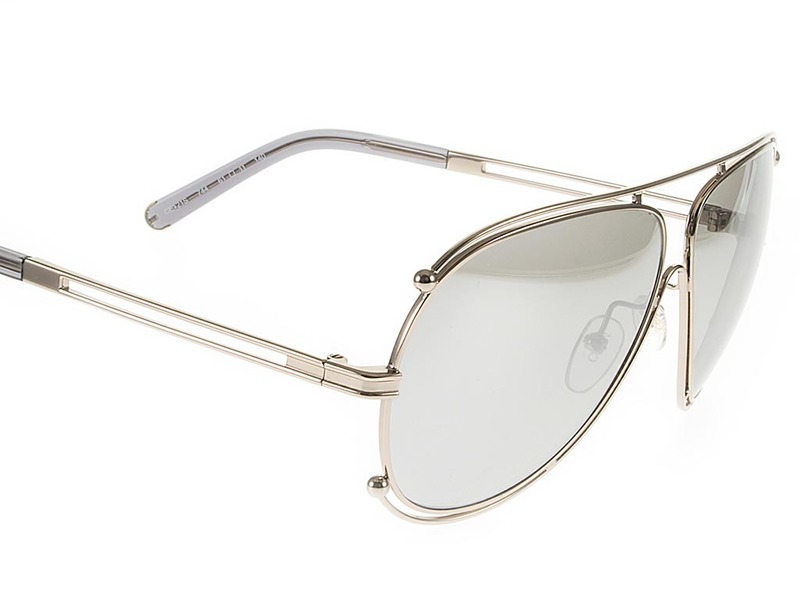 Crafted from refined gold and grey metal, these rims add to the sleek frame of these edgy women’s sunglasses and offer full coverage of your eye. 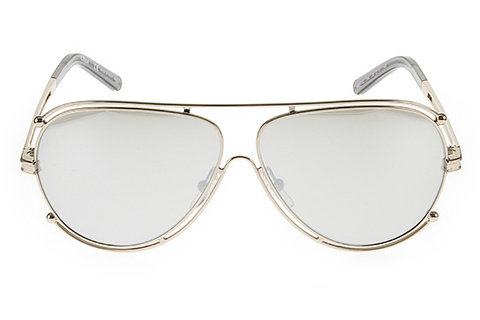 The lenses also ensure 100% UV protection against the sun. 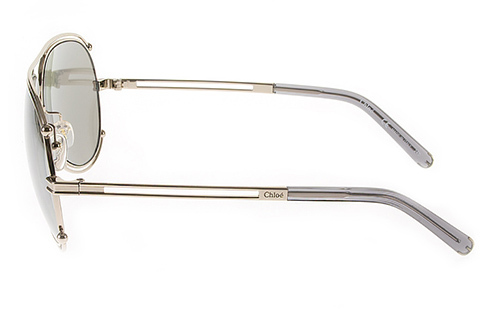 Chloe’s logo is delicately engraved on the arms to ensure authenticity. 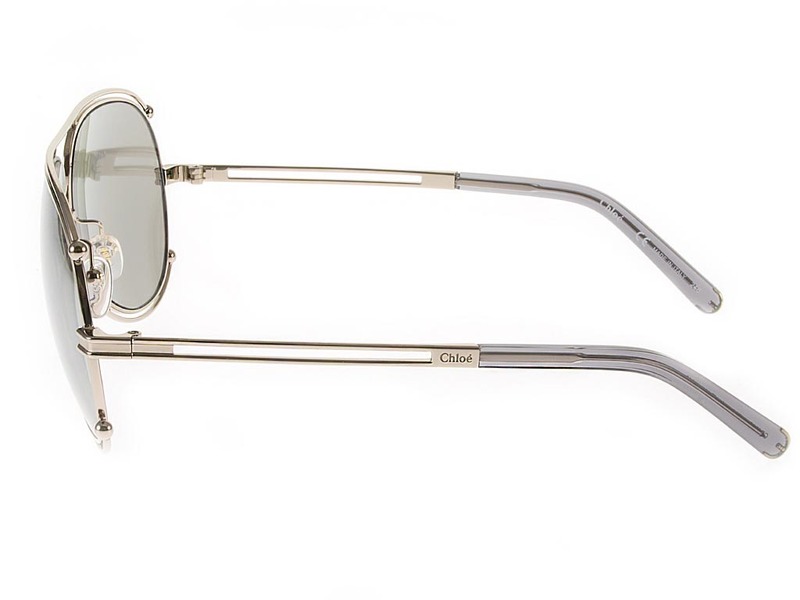 Inject a piece of Chloe’s ultra-feminine, playful style into your wardrobe with these luxurious sunglasses. 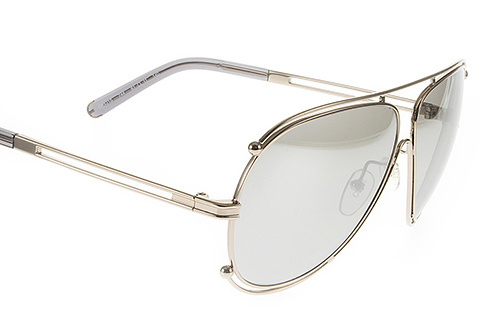 Enjoy free next day delivery at FeelGoodContacts.com on all orders over £49.